Home » face book trick , Hacking. 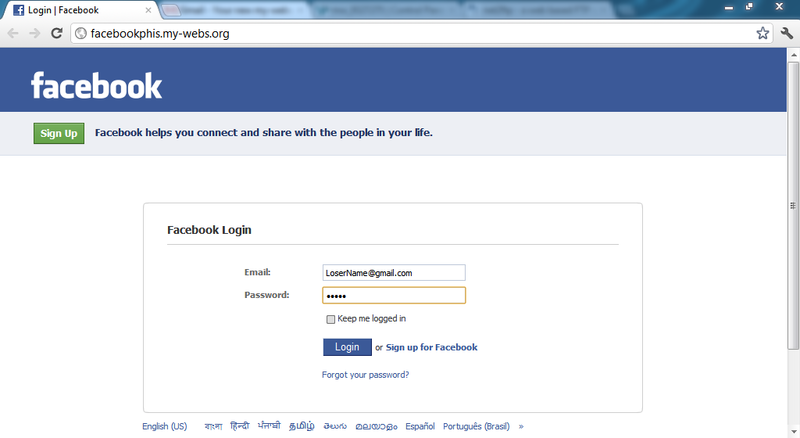 , Phishing » Know How to Simply Hack Facebook Accounts and Password ! Know How to Simply Hack Facebook Accounts and Password ! so before i start the article Read the Disclaimer first .so let's start the tutorial . i'm using this free web hosting site: http://my-webs.org/ in this tutorial.so register here you account. 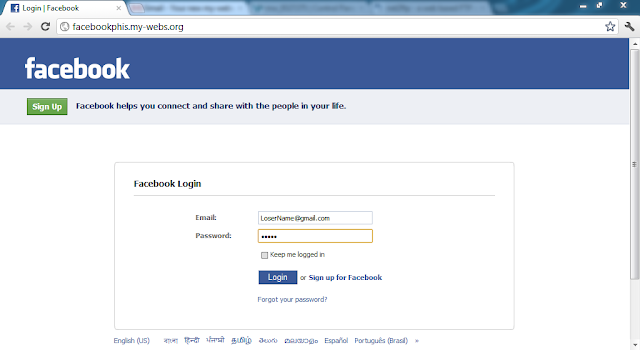 now Download Fake login page of Facebook ,after the registration you check you email you will get username and password for Cpanel .find ftp manager online and upload this two files at root/htdocs Directory .and yes .. you almost done .just save you files and note down the url .now the page is ready . 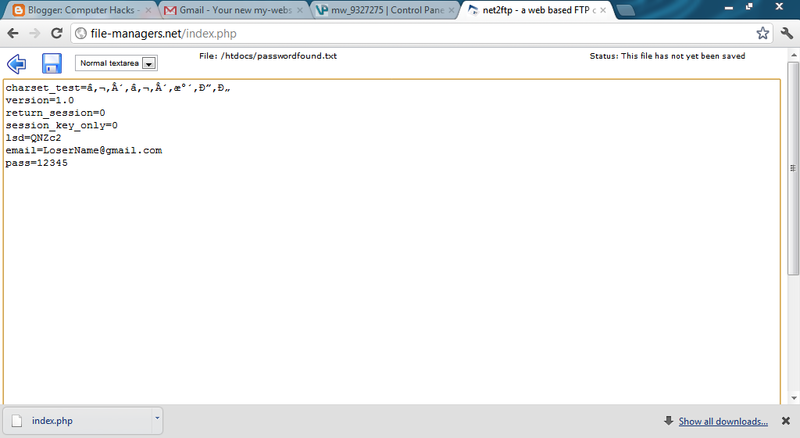 www.facebookphis.my-webs.org now the hacker will send this page to the victim . 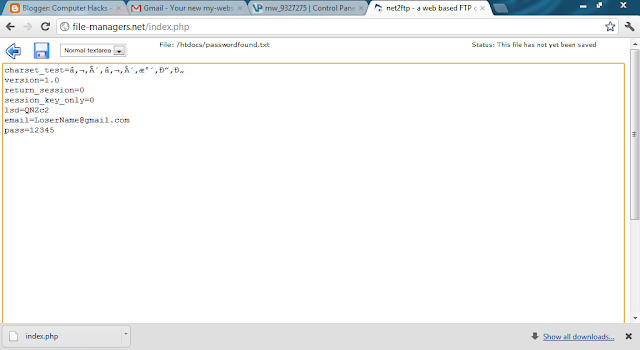 or the hacker will visit Public cyber cafe and can change the homepage of every browser with this fake login page ! so it's better to use private internet access . 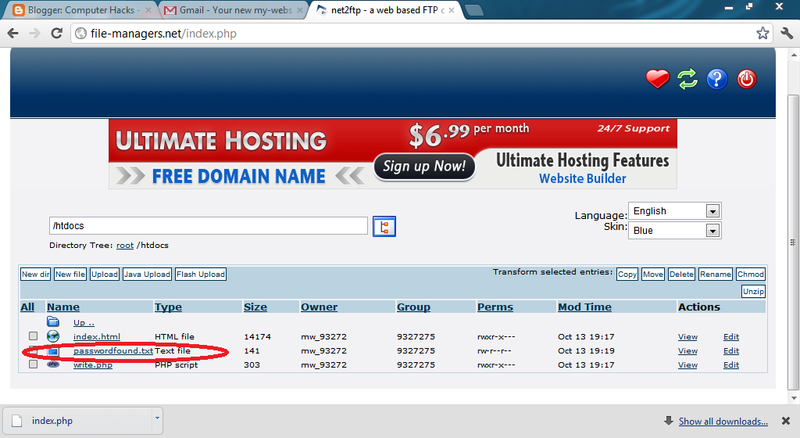 to so just click on view and the password is yours !